How gorgeous is this family! It was a very hot August evening however it’s not so bad when you’re having fun near the ocean. There is a breeze and the baby loved getting his feet wet. He was all smiles as soon as we got him close to water. Such a cute age to document! Do you have a pet you love? Please hire us for family photo shoot :) Why us? Because we are obsessed with dogs, cats and will love all your pets. Just like working with adorable babies, pets are joy and we love to spend time with your furry child. This sessions was amazing, the doggy is gorgeous, sweet, I got so many kisses and smiles, just look! So lucky this beautiful family chose us! Courtney's make up and hair was done by very talented April South (facesbyapril) my clients have been so happy with her services and you can see why. I need more families with pets, that is all. 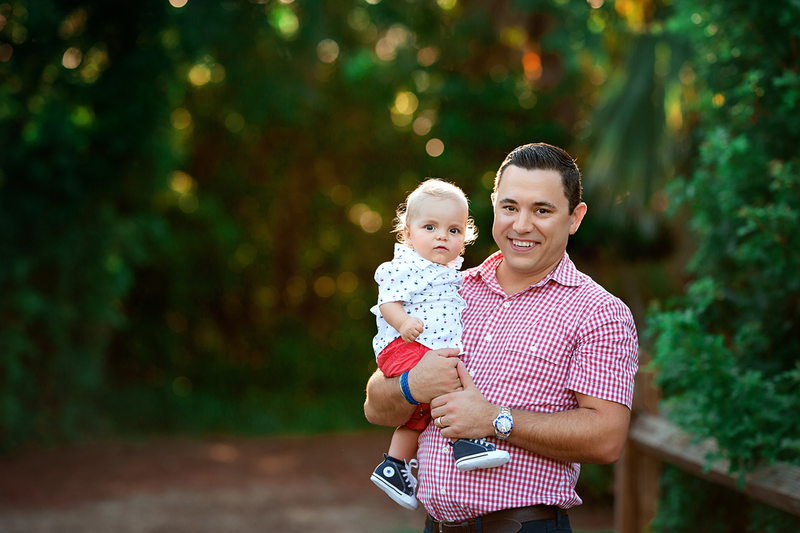 Another gorgeous soon to be family of 4 met us at Red Reef beach to do family pictures on a gorgeous day. It was sunny and very windy which makes for great ocean view, with huge waves and lots of seaweed. I love shooting at this location because we always start with golden light trees view and move on to sand with water, variety for clients and a great place to spend time. I had so much fun with the princess, little one was full of personality and loved the camera, in fact she was sad to leave. Love these photos! Mark and I came by to capture this family in their home, it was adorable watching big sisters so happy and proud. Pictures of the girls with baby melts my heart. It wasn't an easy journey specially for mom but it's always worth it and most importantly everyone is healthy! 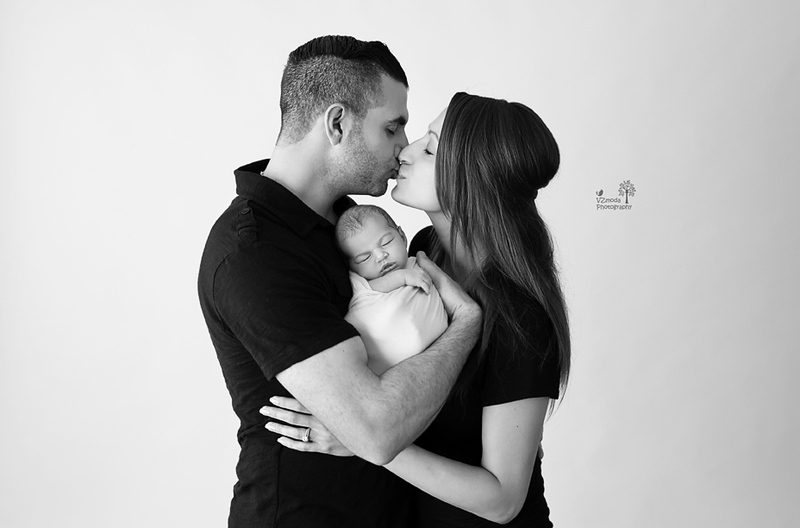 This is what lifestyle sessions look like through my lens, gorgeous family! This was such a fun session I didn't want this cutie to leave! Our cake smash session includes portraits with parents, sibling and even bath to get all that frosting off. 50% of babies will not like the cake smash, it's the texture and new experience therefore we like to capture other milestones during 1st birthday shoot. This little one loved the cake made by www.allstarcupcakes.com/ located in Boca Raton. Isn't it a gorgeous cake?! It was delicious too! Mom was the one that styled the session and I couldn't wait to see unicorn theme cake smash. Baby was all smiles, she loved her bath too. I'm obsessed with these photos and the little birthday girl, she is just too cute! I still can't believe that it's December and I'm working outside, not just outdoors but at the beach, my absolute favorite place to be ;) So glad many of my clients want beach sessions, Mark and I feel like we are just out having fun, not even going to call it work. It's been a very busy month, meeting new people and just look at my adorable clients. 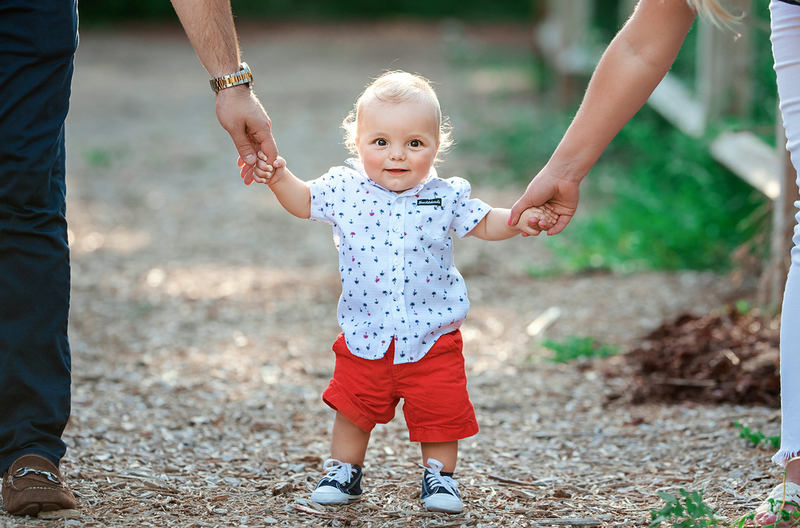 This session was so much fun, super photogenic family and very sweet. Love their outfits! 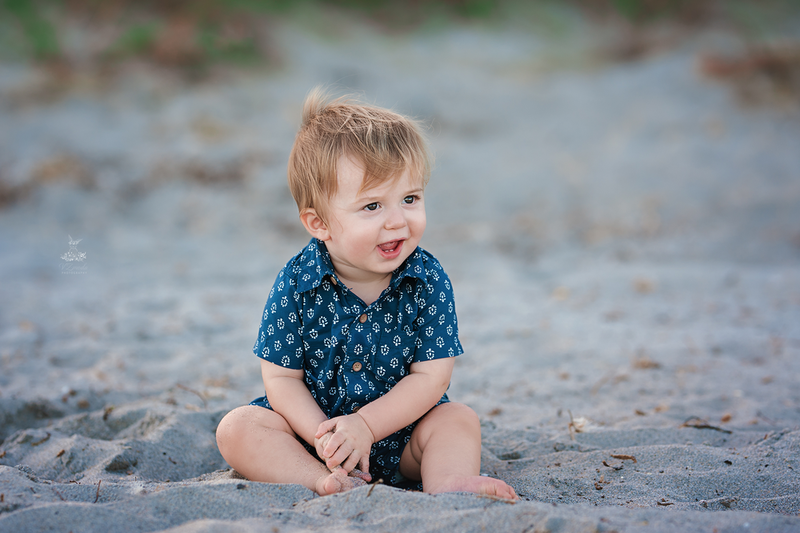 Weather was perfection, baby was all about playing in the sand, Mark had to fall in water few times to get older brother to smile which was probably a pretty good show for everyone. 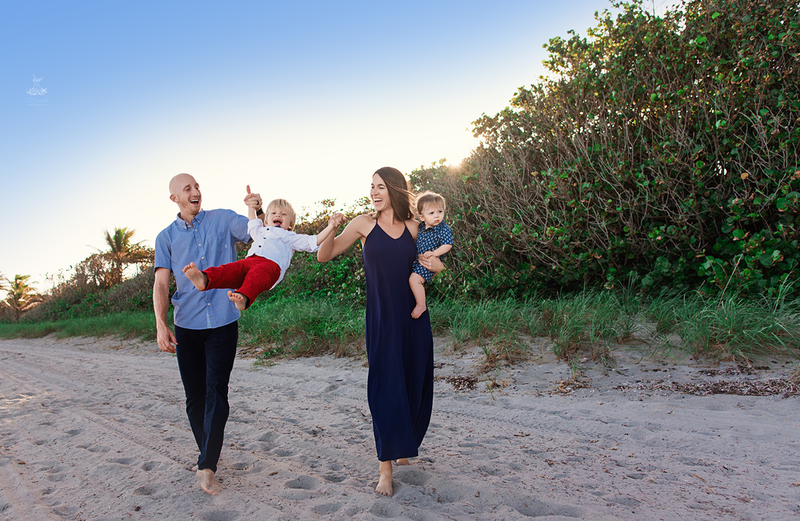 Love how we captured this beautiful family! 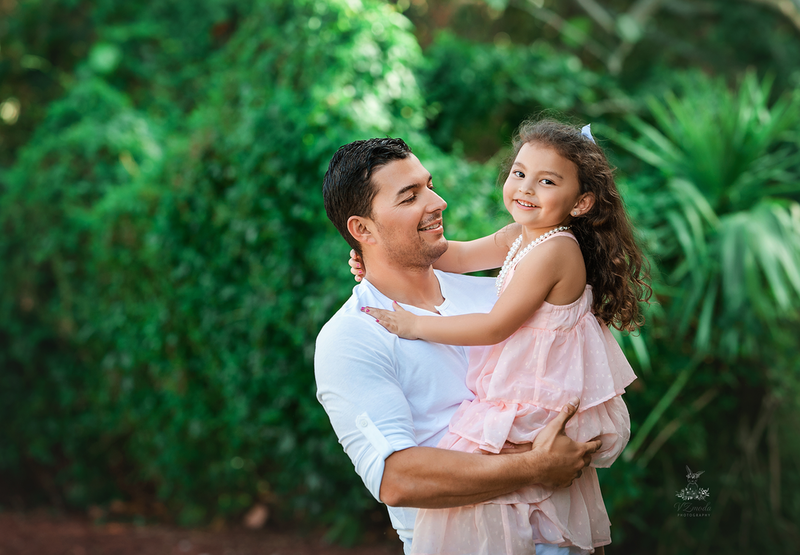 The best way to capture personality, love and just life is to photograph candid moments! I always try to get a few posed, everyone look a the camera shots but the rest is go go go, specially with kids. 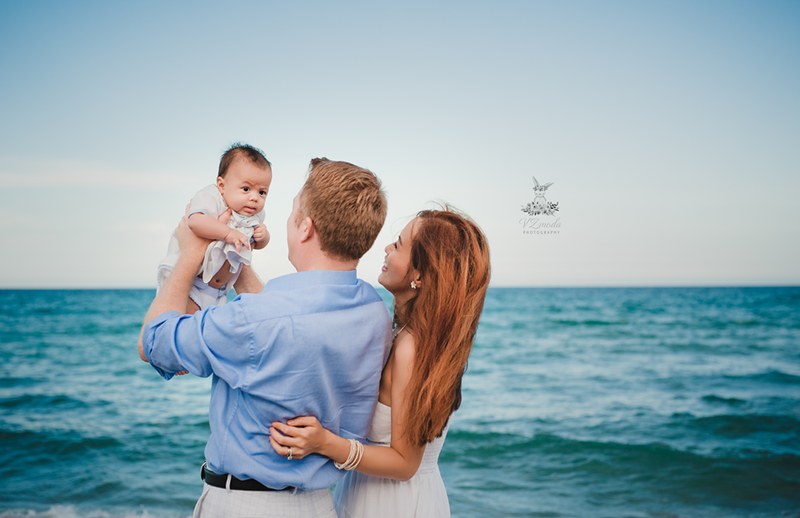 This beautiful family recently moved to FL to enjoy beach and sunshine! Don't think I'll ever get bored of shooting at the beach, such a gorgeous background and kids have so much fun! 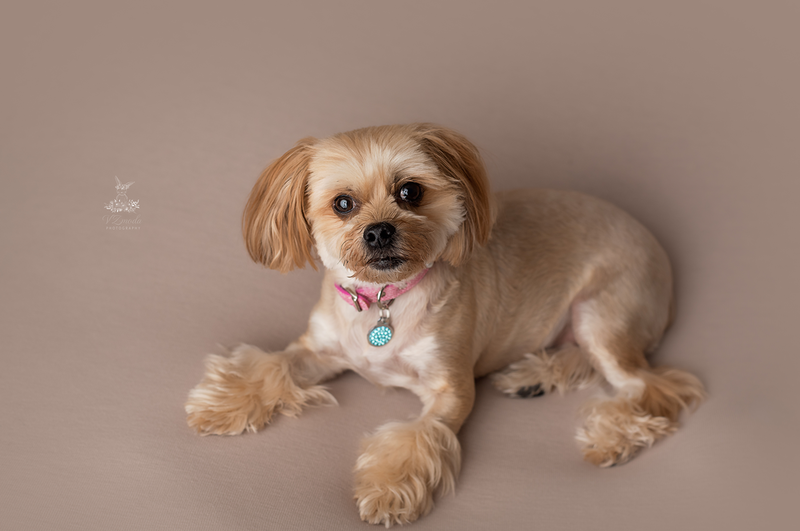 Also how adorable is the doggy, love it when families bring their pets to shoot. I was looking forward to meeting this gorgeous couple and our goal was to get some outdoor shots but weather had other plans. The beach looked kind of intimidating that day and as soon as we started shooting it was pouring. We did get one amazing shot and you can see how the sky looked, no photoshop there! After getting soaked we left for studio but stopped at a park to try again since rain stopped for just 20 minutes it seemed like lol Anyway the weather was unpredictable that day but my client looked stunning and this gallery is beautiful plus I have to mention Valerie is so sweet, pleasure to work with, can't wait to meet their princess soon! We finally moved in, loving our new life in Boca Raton and this here is my very first photo shoot! Just look at this beautiful family and gorgeous mama! I'm so in love with my new background and can't wait to meet new clients in FL. This session was so fun, we brought our girls with and while they played in the water we captured these stunning memories. By this time I think everyone who sees my posts and blogs realized I love families that include their pets in such important life events and just love people who love fur babies :) This big puppy was so excited to join his parents for pictures and did so well, very smart boy! He posed and smiled and ate peanut butter off her belly lol but yes that is what we did in some shots to have him kiss his sister. This mom and her belly I mean just gorgeous and she looked amazing 11 days post delivery when it was time for newborn pictures. Baby was sleepy and tiny and so very perfect. Before the session I go over nursery colors or just what colors parents prefer, I match the props, actually takes me a while sometimes to select exactly what I think will go with backdrop or certain prop. My house is full of props lol and it's just not easy with all the choices. 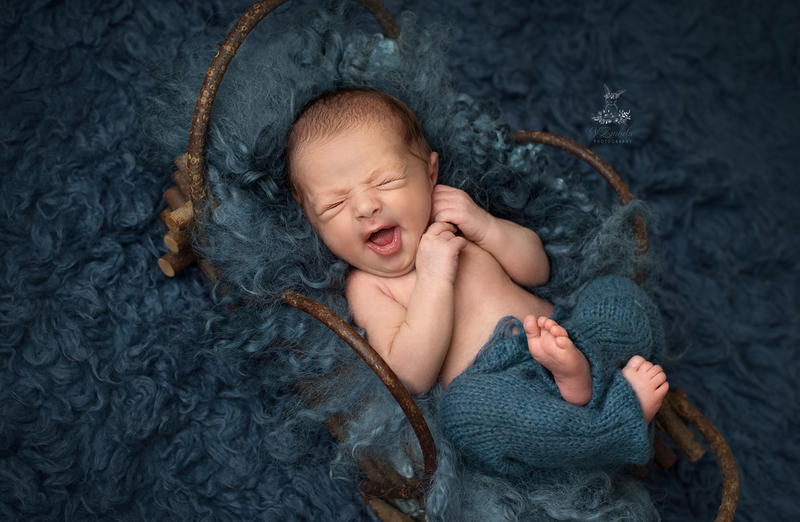 Newborn photography is one my favorites, so I can be a perfectionist when it comes to what kind of props and how everything has to be set up. I adore the matching shirts shot, perfect family portrait! How adorable is baby Liam! Soooo cute and in my opinion looks a lot like his big sister :) I am so lucky to have a job where I get to hold newborn babies for hours. Liam didn't want to sleep for a while but when he finally did the poses came out so perfect. 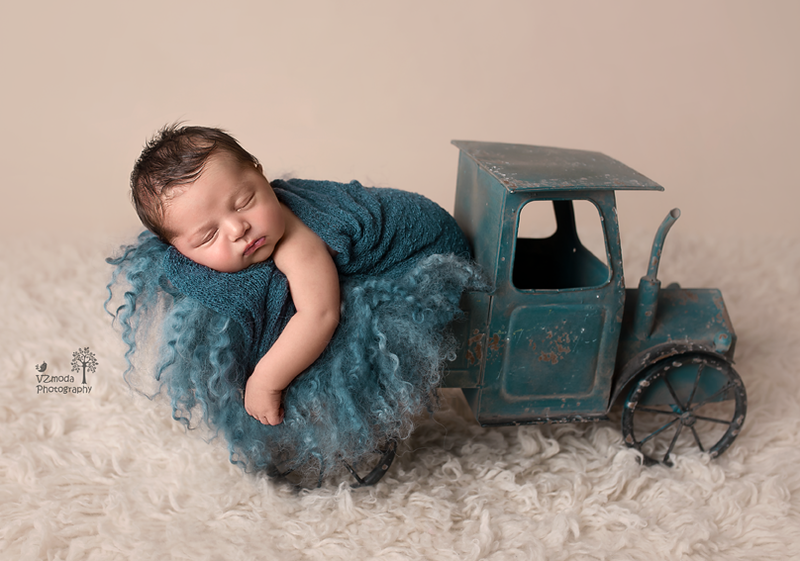 We even got to use the truck and I totally love the awake shot. It's my favorite shots specially when babies this young look right at the camera, well more like my giant light but who cares it's perfect. Love his cheeks, hair and those little lips. His big sister doesn't really like photo shoots lol but that's ok we always figure it out and those few sibling shots we got are amazing memories for parents. Thank you guys once again for trusting me with your little one and well for just being awesome clients! This family is gorgeous! 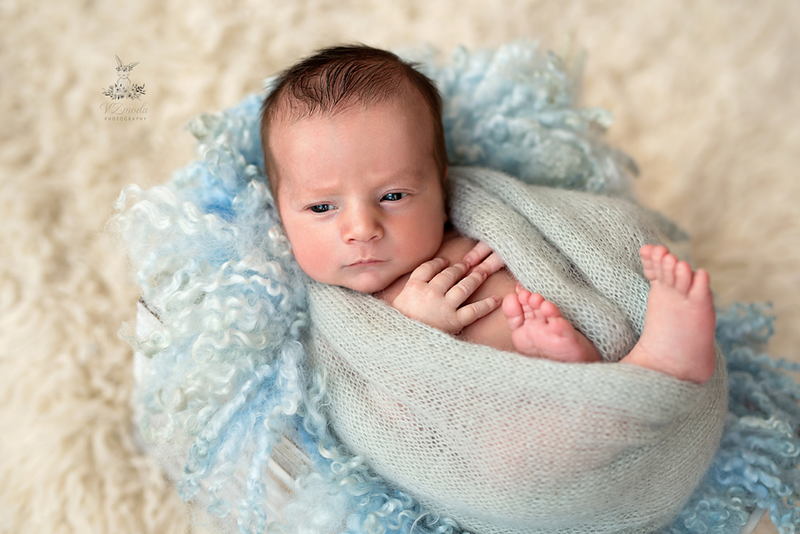 Newborn sessions are one of my favorites and this sweet baby boy was so sleepy and tiny. I love sibling shots so much and it's hard to not get baby fever after these sessions. 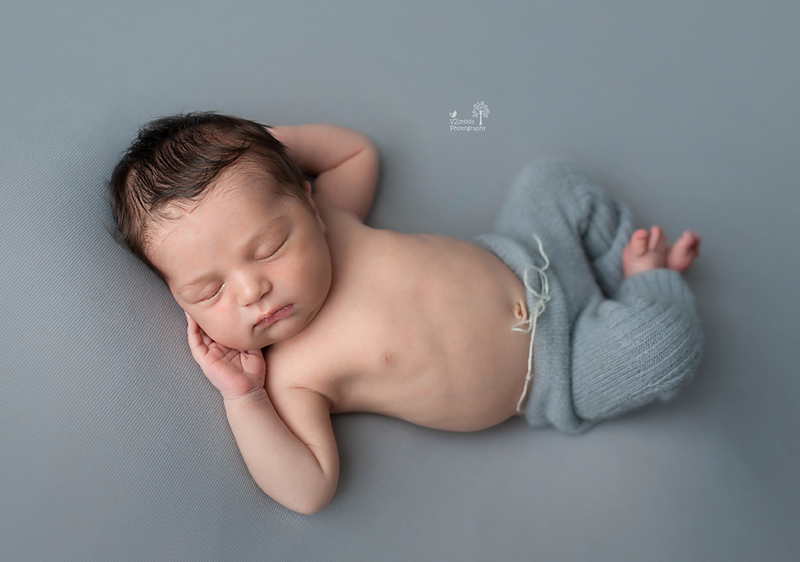 Just look at the poses and props, newborn art is the best kind, these first few weeks go by so fast, the memories are truly priceless. 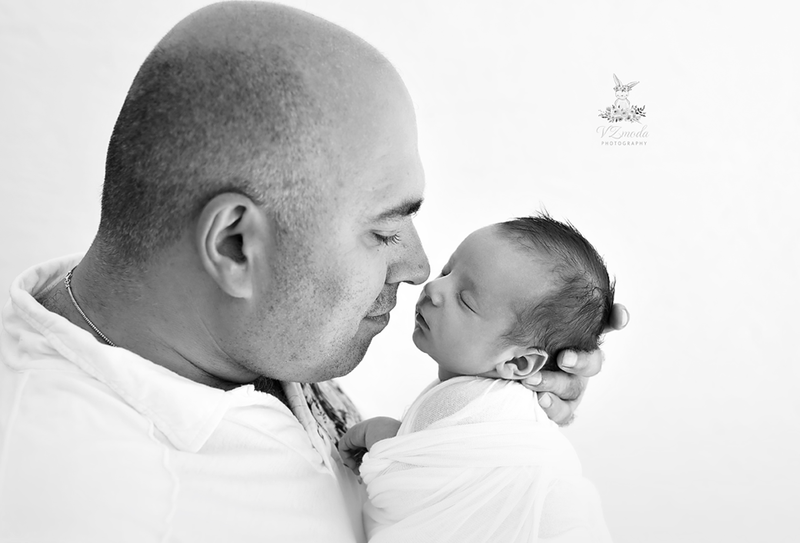 Parents come in the studio sometimes exhausted but full of joy and so smitten by new addition to family. Bringing a baby under 14 days to studio might not be so easy specially with siblings that are toddlers and still so little too however you will never regret it. 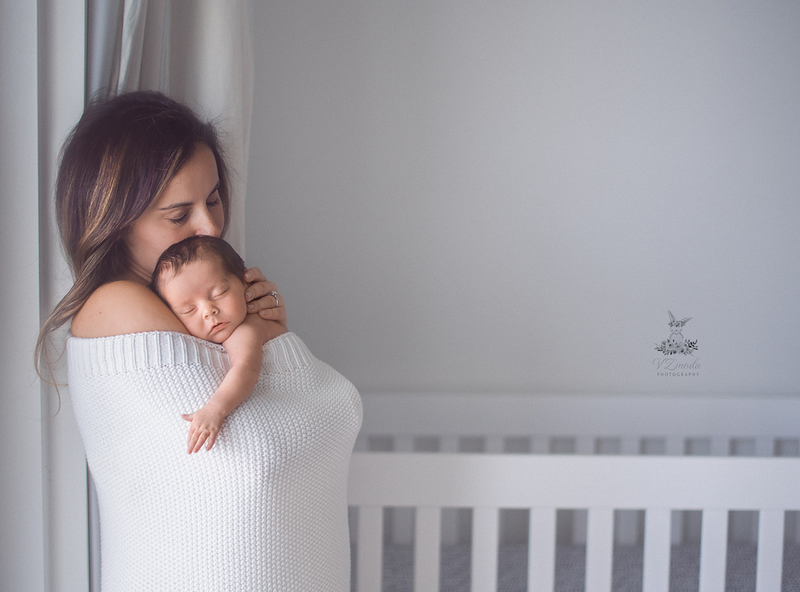 In fact we offer an option to do lifestyle newborn sessions as well in the comfort of your home, we would love to go over details for each type of session. 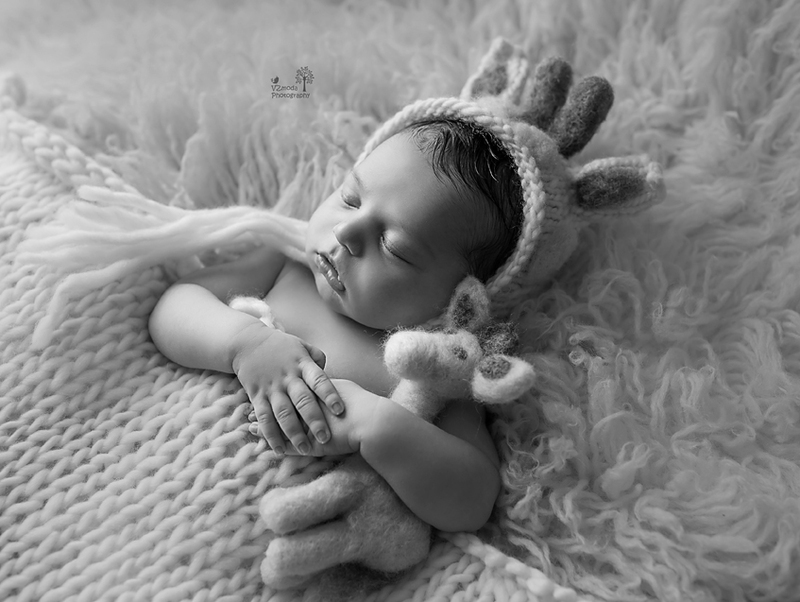 Vicky is premier art newborn photographer specializing in Newborn, Maternity, Baby photography. VZmoda works out of in home studio located in Boca Raton, FL. She is a trained professional, extremely patient and it's clear her passion for photography shows in her work, her goal is to capture special moments as a piece of art which lasts a lifetime. This mom is just drop dead gorgeous, always! I knew she would look picture perfect for maternity and flawless right after having baby while she posed breastfeeding. I was in love with timeless, light and angelic look for her during maternity session and obsessed with similar look for nursing shots. This little princess has the most beautiful nursery! Also she is so lucky to have 2 big sisters that adore her and a brother that will protect her. 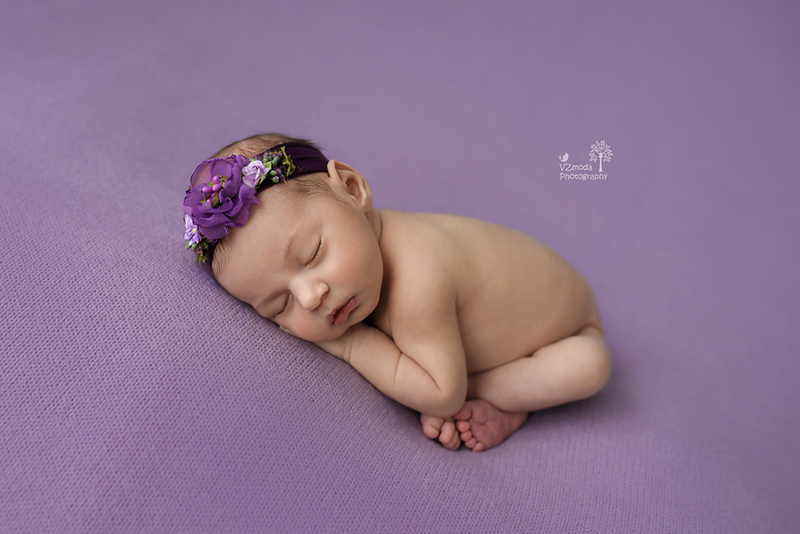 This little cutie was at my studio in April, she was about 3 weeks old and did great! I couldn't get over how much she looks like her brother who I absolutely adore! I can't wait to photograph her again one day and see how her little personality is because with her brother it's always so fun and easy. He loves the camera and we always capture his personality so well. 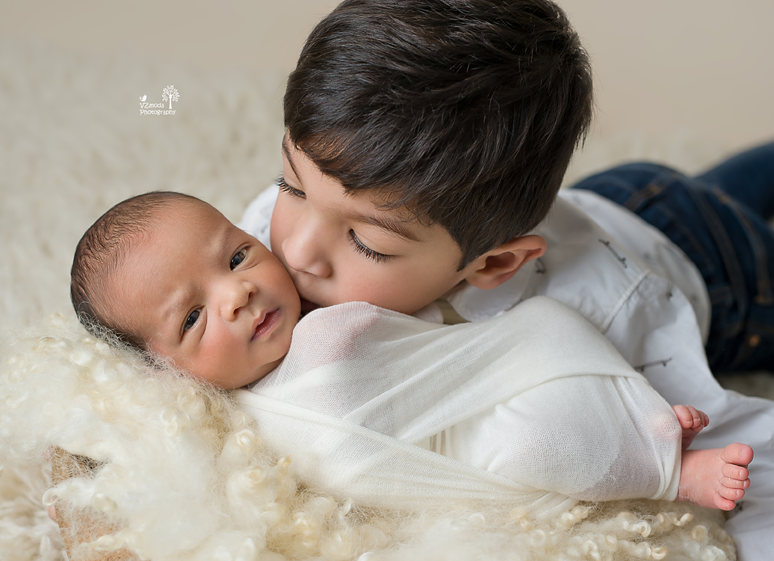 Just look at his adorable expressions on the sibling shots, can't get any cuter! Of course I'll brag again about how much I love my job, this time I got to capture Zachary's first portraits with baby sister. Gorgeous family!